From Juti: Louis S. Warren, "Buffalo Bill Meets Dracula: William F. Cody, Bram Stoker, and the Frontiers of Racial Decay," The American Historical Review vol. 107 no. 4 (October 2002), pp 1124-1157. Slow and Sew Shop for your own Defarge PAC t-shirt! 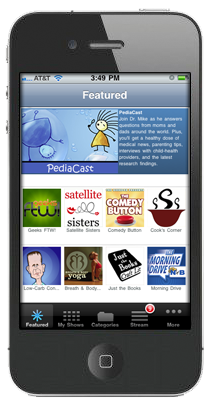 We just added a featured tab to the Podcast Box app. Every couple weekswe will be featuring different producers' apps and this week your app has been chosen! Book talk starts at 17:00 you can listen to the episode here.